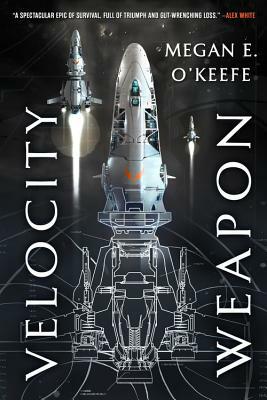 Dazzling space battles, intergalactic politics, and rogue AI collide in Velocity Weapon, the first book in this epic space opera by award-winning author Megan O'Keefe. Megan E. O'Keefe was raised amongst journalists, and as soon as she was able joined them by crafting a newsletter which chronicled the daily adventures of the local cat population. She has worked in both arts management and graphic design, and has won Writers of the Future and the Gemmell Morningstar Award. Megan lives in the Bay Area of California.